Forty millimeters of 21-jewel automatic goodness can be yours for a modest $495. This watch occupies that fluid space between field and dress watches. 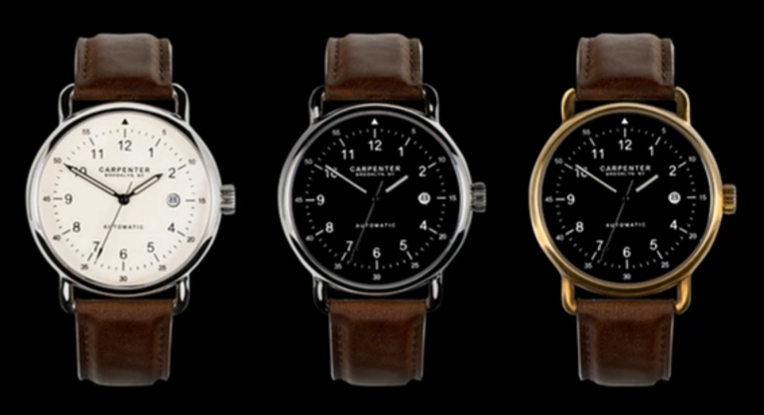 The Carpenter watch comes in three flavors: a polished case with a matte cream dial, a polished case with a matte black dial, and a brass case with a matte black dial. All three watches are otherwise the same: three-handed with the date at the three o'clock position, encased in a circle. 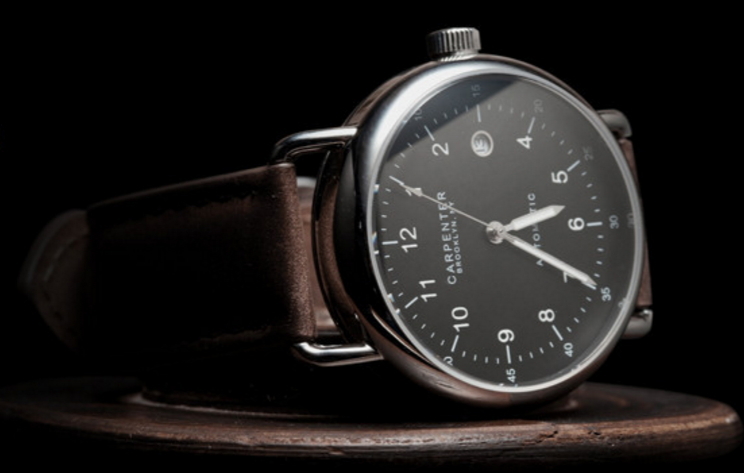 Affordable luxury from Carpenter Watches. What do you get for $495? You get a good-looking watch with a reliable movement. You get a leather band and a double-domed anti-reflective sapphire crystal. Many watches say "Swiss" on their face. But not many watches, perhaps only one, say "Brooklyn, NY" on its face. That's cool. It's a little thing, this country of origin designation, but it's also a big deal. I admire watchmakers who are willing to proclaim that Switzerland isn't the only universe when it comes to watches. Acknowledging its aviation inspiration, Carpenter Watches display the traditional 1 through 12 on the inner dial, while the outer dial shows the second marks in a smaller font. As a pilot, I can attest to the utility of having that second seconds dial: There are so many things to time in a cockpit, and while planes have many timing devices, sometimes the fastest device to use is your wrist. Carpenter Watches ship anywhere in the world. These look like excellent timepieces for wrists that enjoy practical, unadorned, handsome watches. The three flavors of Carpenter Watches. Photo from Carpenter Watches.